Many of you know Chris Tugwell from the adult class. Over the last six months he has been training intensively, getting ready for his 1st Dan black belt grading. 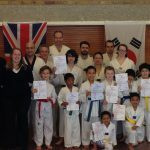 Chris has been with us since the beginning of DAN Taekwondo School, and previously a student at Vo’s 2 Taekwondo School with Joanna, Simon, Chris Z, Ian and Michelle. 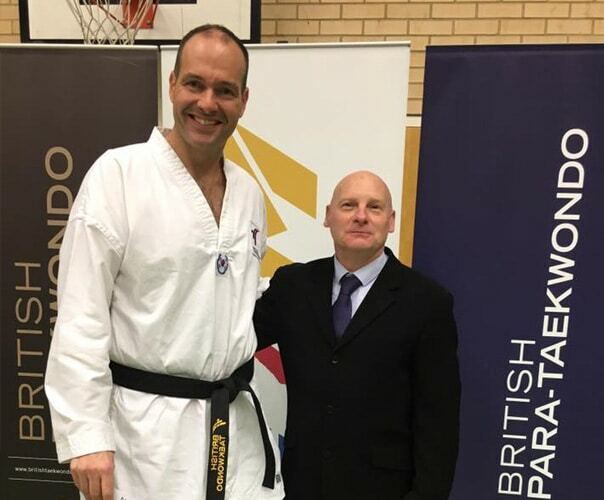 He has had to balance working full-time at his business, his home and family life as well as putting in the hours needed in Taekwondo to reach the high standard to even apply for the 1st Dan. We all know that can be at times quite difficult and testing on your spirit and energy levels by trying to schedule in time to train as well as trying to find that perfect home/work/family balance. On Saturday 19th November, Chris attended the British Taekwondo Dan Promotion Winter 2016 in Southhampton. The Dan gradings are similar to our gradings, except that this panel consists of several Grand Masters and Masters at the table. That means there is no room for error! 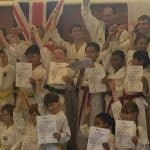 Chris did extremely well in the grading and made us all exceptionally proud of him. He nailed every part of the grading. Even instructor Chris Z was impressed by his Poomsae! 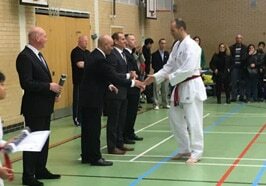 So we would officially like to announce Chris Tugwell, 1st Dan Black Belt!